With its new and different approach to bedroom furniture, Yaasa delivers products that offer a better way to live. What started as only a line of adjustable beds, has since evolved to include a complete bedding and wellness experience, including; innovative blankets, mattresses, and candles. Yaasa’s mission is to create products that enhance and support your individual living experiences, simply & affordably, and all products are delivered right to your door. Their beautiful products are crafted with skilled attention to even the smallest details. The Yaasa Adjustable Bed is intuitive, smart, and adaptable. So, what makes Yaasa’s Adjustable Bed so special? As a favorite pass-time of this editor, sleep is, of course, essential to an otherwise stressful life. As such, we did a deep dive into their scientific methodology to understand how they provide the perfect resting experience, and the best night’s sleep you’ll ever have! The Yaasa Adjustable Bed is by far much sturdier and structurally sound than other similar products. Yaasa’s Adjustable Bed offers a “wall-sliding” feature making it easier for you to reach your bedside table, even when in motion. The bed is simple and clean with a stylish innovative design. Competitive products notoriously have exposed wires, brackets, and other obstructive features that make for a more cluttered experience. The Yaasa Adjustable Bed comes with two USB chargers, one on either side, making it easy for you to charge your device right from the comfort of your bed. The bed comes with a backlit wireless remote control with pre-set features, including zero gravity and anti-snore, making it simple to use, but also allows for a multitude of positions. Yaasa ditches outdated upholstery for an easy to clean, pet-friendly finish. With its minimalist design, the side rail motors are not only silent but strategically placed so that storing items under your bed is convenient and spacious. Assembling the Yaasa Adjustable Bed is required, but the instructions are easy-to-follow, and shouldn’t take more than twenty minutes to complete. The best news is that the Yaasa Adjustable Bed is competitively priced and typically much less than other similar products available on the market today. For the mere price of an airline ticket, the sky’s the limit, so let your dreams take flight! If like us, your bedroom décor has been designed to your own personal comfort and taste, you can simply add the Yaasa Adjustable Bed to your existing bed frame, so there’s no redesign necessary! The Yaasa Adjustable Bed will also work without the inclusion of legs so you can decide how it best suits your perfect sanctuary. The bed supports any contemporary mattress brand in both king and queen sizes and can hold up to approx. 700lbs. Purchase your Yaasa Adjustable Bed today through Dubli.com and earn up to 7.2% Cash Back. You can also save $100 OFF your purchase of The Yaasa Adjustable Bed simply by USING CODE: ADJUSTABLE100 valid through December 31st. 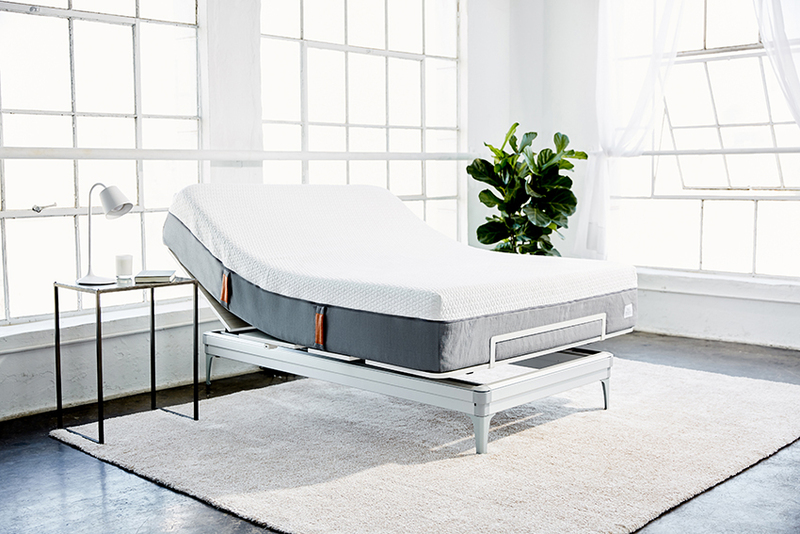 During the month of September, Yaasa is offering their exclusive 10” Yaasa One Mattress FOR FREE ($850 value) with the purchase of The Yaasa Adjustable Bed. This offer will last until the end of September 2018.